NEW YORK (AP) — Artificial trans fats were as American as apple pie when New York City's health-conscious mayor, Michael Bloomberg, pushed to ban them from restaurant food in his city in 2006. By Thursday, though, the U.S. Food and Drug Administration had announced that it would finish off the fats for good by phasing them out of all foodstuffs nationwide. The news was another triumph for a public health strategy pioneered by Bloomberg and his first health commissioner, Dr. Thomas Frieden, who now leads the Centers for Disease Control and Prevention. Few municipalities anywhere have made such a habit of using local regulation to try and force major changes in public consumption of unhealthy products. Used to be, if you bought a doughnut, a plate of fries or a bucket of fried chicken, chances were it had a few grams of the artery-clogging stuff. All that began to change, and not just in New York, in the months after city health officials decreed that trans fats were too dangerous to be served to the public. More than a dozen fast-food giants swapped cooking oils. Bakeries found alternative types of shortening. Even Crisco, the original artificial trans fat, got a new formula. National consumption of trans fat plummeted. Under Bloomberg, New York has also banned cigarettes in bars and restaurants and required fast food chains to prominently post calorie counts for every item they sell. More recently, the Board of Health attempted to put a cap on the size of high-calorie soft drinks served in restaurants. That effort has been put on hold by a judge. With Bloomberg leaving office at the end of the year, the fate of the sugary beverage rules is unclear, although Mayor-elect Bill de Blasio has said he supports the health initiatives. The city's current health commissioner, Dr. Thomas Farley, said all those measures show that innovation in public health can happen locally. "People used to look to the federal government," he said. "It's much tougher to do it at the federal level." New York City didn't start the campaign against trans fats, but the Bloomberg administration can take credit for using the city's market size to force a shift away from a pantry staple believed to contribute to thousands of deaths each year. In the years before the city took action, big agribusiness companies had already spent years developing alternatives to the main source of trans fat — partially hydrogenated vegetable oil. Yet there was little market demand for alternatives, which included blends of soybean, cottonseed and palm oils. Some rumblings of a shift began when the FDA decided in 2003 that food labels should start listing grams of trans fat per serving. McDonald's, KFC and other restaurant companies quietly began experimenting with substitute frying oils and shortening, trying to see if they could make the switch without consumers noticing a change in taste. All of those efforts, though, went into overdrive when Bloomberg's health board implemented the ban, and effectively created a huge new marketplace for trans fat alternatives overnight. "The only way to move the market was to mandate it. And then the suppliers would stock it. And the restaurants would buy it," Farley said. By the time New York's phased-in ban took full effect in 2008, relatively little enforcement had to be done. The market had already adjusted. It helped that partially hydrogenated vegetable oil, originally marketed in the early 1900s as a cheap substitute for butter and lard, is tasteless. It was hard to find diners who noticed any difference after New York's changes took effect. 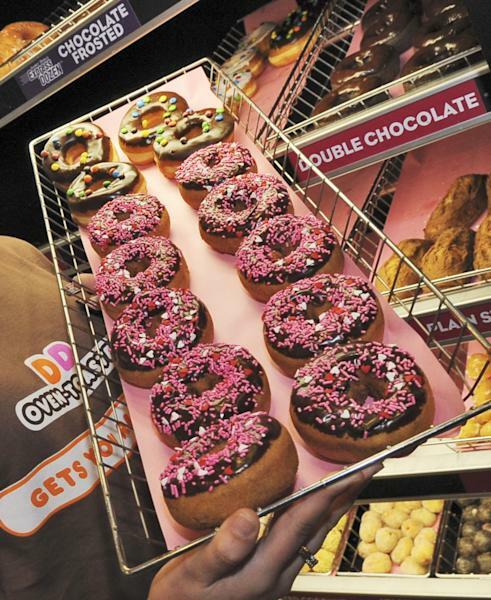 Dunkin' Donuts sold 50 million trans-fat free doughnuts before it announced to the public that it had switched from its old brand of shortening, to see if anyone would detect the change. Nobody did. The biggest difficulties were faced by bakers, who found that replacement products didn't always behave the same way at the same temperature. Cooking times and ingredient mixes had to be adjusted. "We made it work," said Manny Alaimo, owner of the Villabate Pasticceria, a dessert emporium in Brooklyn that makes cannoli and other Italian treats. He's still chafing, though, at the forced changes because the new oils cost a little more and shorten his products' shelf life. "It's like you are taking away Americans' God-given right to eat what they want to eat," he said. That's a criticism that has followed many of Bloomberg's health policies. Restaurant owners, in particular, have also complained they have often had to shoulder the costs of the city's health crusades. "The doomsday scenarios have not come through," said Andrew Moesel, spokesman for the New York State Restaurant Association. "But that doesn't mean the impact isn't felt." In a statement Thursday, Bloomberg said the FDA's trans fat proposal would eliminate an "artery-clogging and unnecessary" ingredient from the food supply. He hinted that any displeasure from the eating public would be temporary. "Our prohibition on trans fats was one of many bold public health measures that faced fierce initial criticism, only to gain widespread acceptance and support," he said. "The groundbreaking public health policies we have adopted here in New York City have become a model for the nation for one reason: They've worked."